With the influence of technology and trends, a memorable experience is becoming more of a necessity than a nicety. In fact, an EventBrite survey revealed 75% of people believe unique dining experiences are worth paying more for. Has your restaurant considered how your dining experience is impressing your guests? Below, we discuss different experiential concepts, both restaurant related and not, to give you ideas to apply to your own business. With the technology available today, it’s easy for people to choose to order delivery and stay in the comfort of their own home, which is why we believe restaurants need to make it more about the overall dining experience than ever before. Experience doesn’t have to mean marveling your guests with fire-flame throwers or hiring a Mariachi band. It can be as simple as providing the right lighting, music, and decor to really make it memorable. Maybe you installed a display worthy of an Instagram photo-op or make the dinner interactive by allowing the chef to cook before guests’ eyes. Diners want to feel like they’re getting more than a meal, so create an atmosphere that impresses them. Take a look at these examples of restaurants who have considered and executed upon the experience factor. This Greenwich Village hideout is an 18-seat establishment with the focus on the full experience. They urge guests to make and stick to their reservations, as a full house is what makes the trip worthwhile. Upon arrival (if you find the entrance), diners are asked to pick a song or two for the meal’s playlist. All choices are then combined and become the soundtrack of the night. Once the vinyl starts spinning, guests are treated to a seven-course tasting menu. The focal point here isn’t necessarily the food, but the combination of the senses that create something unique. Aside from being a three star Michelin restaurant, this Chicago outpost is known for its inventive creations and prolonged (up to four hours) dining sessions. 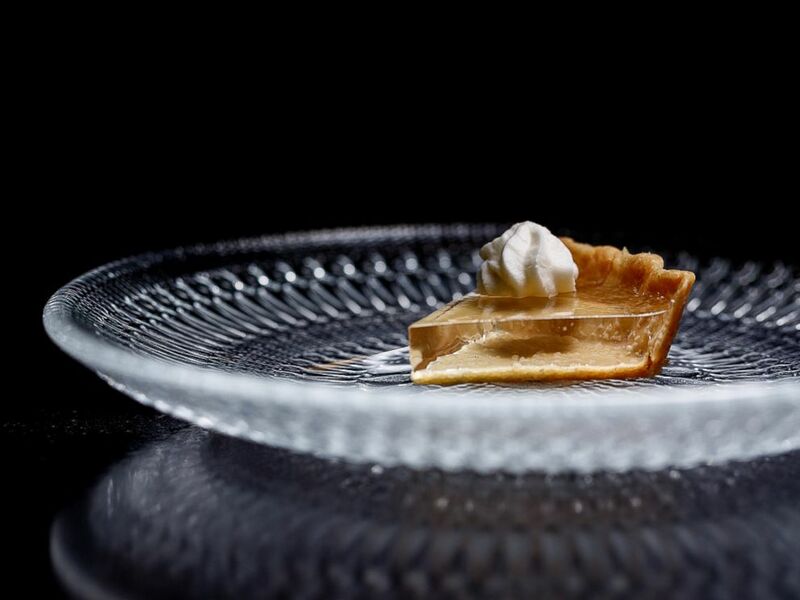 Testing the limits of science, guests may enjoy a clear pumpkin pie or edible balloon. You’ll engage your senses throughout the edible journey and enjoy reputable food and wine pairings. Plus, things will be glowing and there will probably be dry ice at some point. The restaurant describes itself as unconventional, which is safe to say is true. Experiential dining exists across the globe. 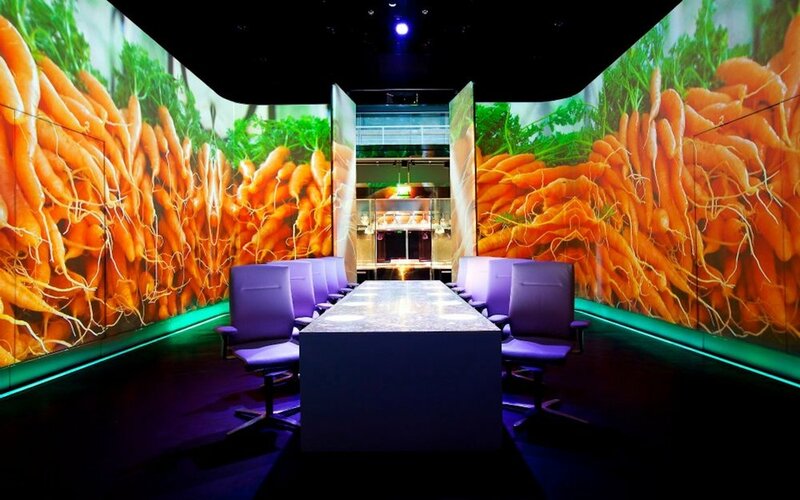 In Shanghai, Ultraviolet brings immersive dining to life with the influence of technology. 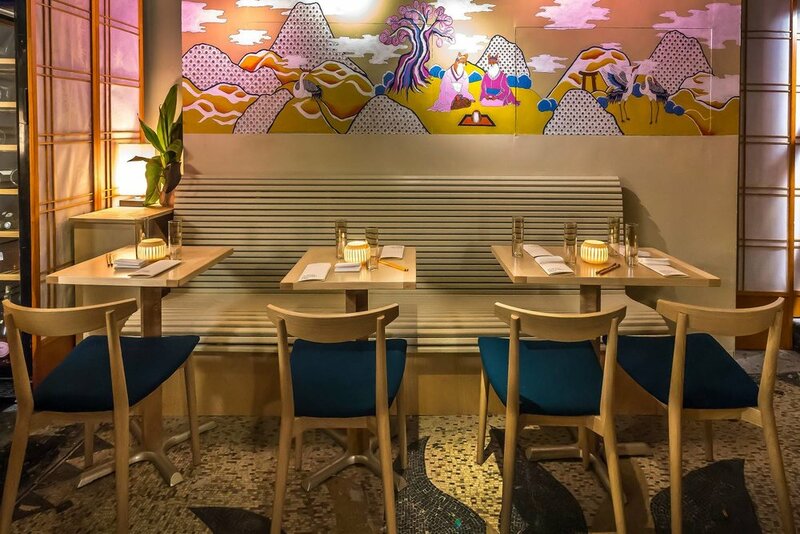 The establishment only has one ten-seat table and is hidden away in a nondescript location (diners meet at an external meeting point before entering). Once there, guests enter into a controlled atmosphere of sight, scent, and sound. Plus, there’s a 20-course menu to coincide with the sensory elements. Ask yourself if you have a concept that’s unique enough to inspire people to want to spend a day or evening with you. Will it be memorable? Will it be worthwhile? Restaurants and bar concepts have capitalized on the pop-up experience popularity. Creating a “pop-up” or limited time event is a great marketing tactic. It encourages people to purchase tickets (if necessary) before the rest of the crowd and creates a sense of urgency. If it’s the hot new thing, people will jump on the chance to experience it before it’s gone. The same Eventbrite data we mentioned above revealed that after having a positive pop-up dining experience, 90% of respondents would recommend the restaurant or chef to loved ones, and 87% say they’d return to the restaurant with friends. Many times, restaurant and bar pop-up endeavors are inspired by popular television shows and movies. 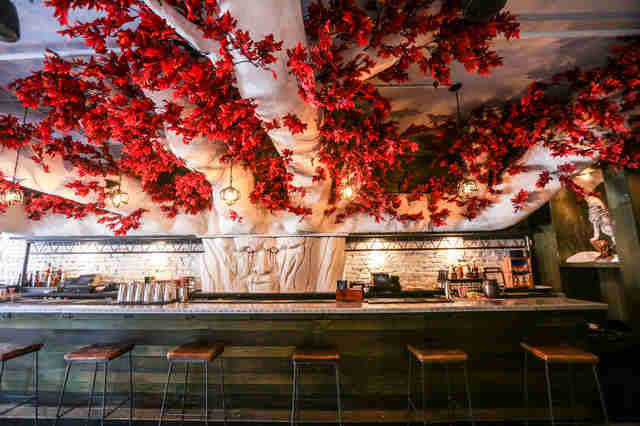 Washington D.C. welcomed a Game of Thrones bar in 2017, a 3,000 square foot space that spared no details when it came to recreating the most popular elements of the show. Drinks were all GoT inspired elixirs and although they were arguably pricey, fanatic fans waited on line for hours just to get inside. Similar concepts have been produced based on shows like Stranger Things, Golden Girls, and Saved By the Bell. However, pop-up doesn’t just mean it has to be based on a cult-favorite film or series. It can simply mean a limited timeframe for an event. 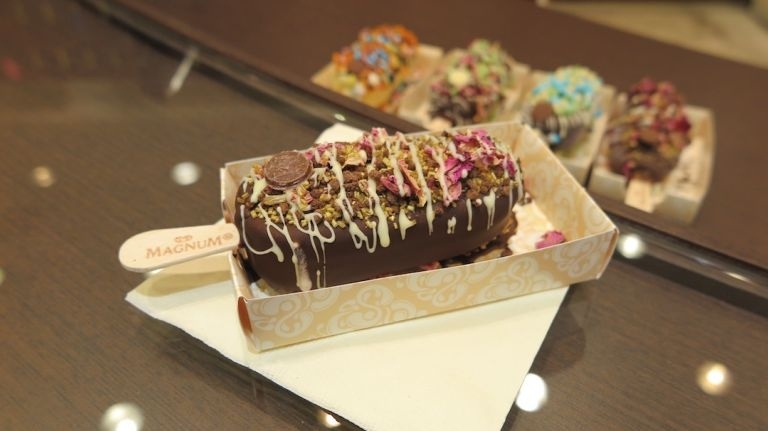 The Magnum ice cream brand hosted a summer pop-up in New York City, where they invited guests to create their own edible concoctions. It closed down when summer was over, which makes sense since the fall isn’t exactly a high season for ice cream. A pop-up can also mean a featured chef or bartender making a pit-stop at another location. Emily, a popular pizza joint in Brooklyn, hosts the pop-up Margot’s Pizza right within their own turf. Guests have to purchase a ticket to the event (which has already been sold out for each spot in 2018) to experience the culinary creations of Adam Kuban, not of the Emily owners. The purpose? To help Adam gain more exposure within the community. Soon, he will piggyback off the success of this series and open his own pizza parlor. Pop-ups are great exposure for up-and-coming chefs and bartenders because they let people who have previously flown under the radar to gain more notariety without having to open a full establishment of their own. This concept has created a sense of community and camaraderie between restaurateurs, as opposed to competition. Plus, it gives the guests a unique experience to enjoy as well. An experiential focus doesn’t just apply to restaurants. 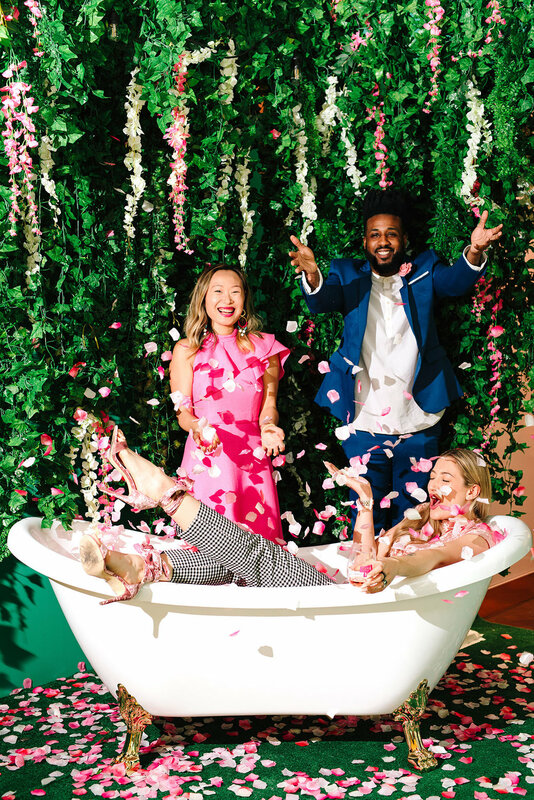 Companies and brands are creating pop-up events and exhibits focused on interaction and documentation on social media. 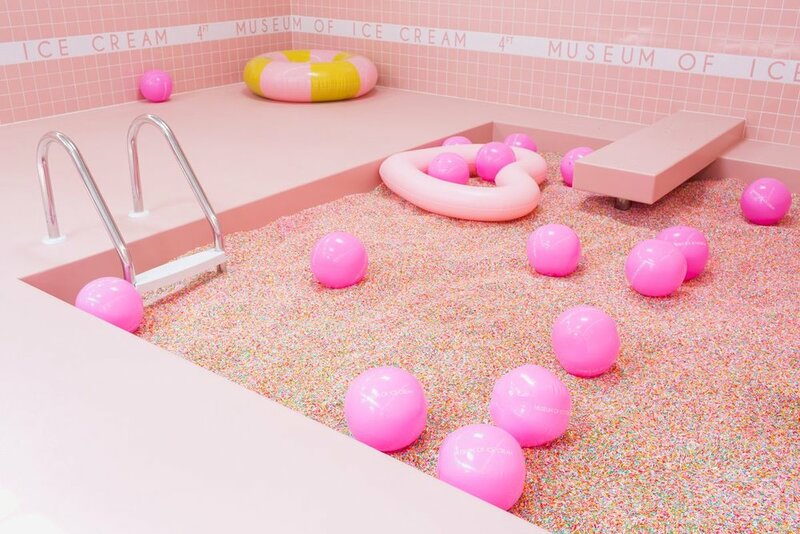 Take the Museum of Ice Cream for example. Founder Maryellis Bunn created a pop-up wonderland out of sweets, sorbets, and sprinkles. The museum came to New York in 2016, but has since traveled to places like San Francisco and Miami for limited stints. While at the museum, ice cream fanatics dive into pools of rainbow sprinkles and pose for photos with larger-than-life Maraschino cherries. The museum has amassed over 450k followers on Instagram and if you search the hashtag #museumoficecream, you’ll find 171k related posts. The brand recently launched an ice cream brand and has worked on collaborations with large names like Sephora and American Express. Tickets often sell out quickly because of the urgency factor and the fact that it’s the perfect setting for high-quality Instagram content. Similar endeavors have popped up recently including the Color Factory and Rose Mansion. The popularity of these events goes to show that people are looking for something memorable, so consider taking these ideas and apply them to your restaurant! 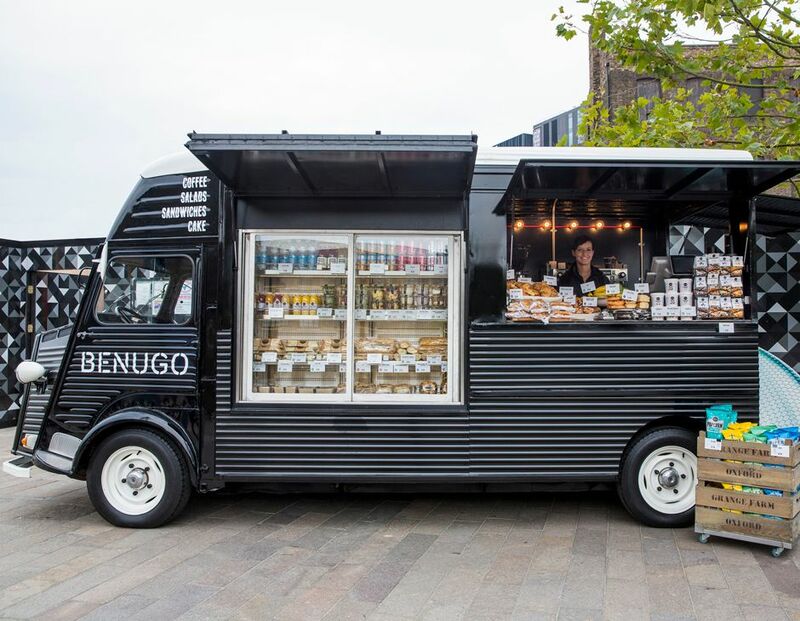 Food trucks have been on the up for a while now and have given diners at grab-and-go experience that may have been unexpected. The mobility allows owners to get up and move to a new location at their discretion to reach a wider audience. Trucks are also a more cost-efficient way for newcomers to gain exposure before opening a permanent location. While the restaurant industry has grown at a yearly rate of 2% recently, food trucks are growing rapidly at 7.9%! This goes to show that the mobile meal-makers are a hit with people across America. Trucks offer all different cuisines ranging from tacos and burgers to kebabs and yes, even lobster. Plus, many of them serve as perfect backdrops for a photo or two. Market halls have also been on trend in metropolitan areas. Popular restaurants that already have physical locations are also scoring space in halls comprised of multiple different vendors. You can find multiple food halls in New York City, including Chelsea Market and Gansevoort Market, that boast some of the best eats from around the Big Apple. Food halls give people a different kind of dining experience. Besides a plethora of food options and cuisine types, they take us back to our grammar school cafeteria days. Suddenly, we’re eating among people we haven’t even met before, brought together by a meal. Plus, food halls take your typical mall food court up a notch, typically offering items from sought-after chefs and hyper-local establishments rather than conglomerate chains. Dining out is no longer comprised of grabbing a bite and going. Today, people want more out of their time at a bar or restaurant; they want a full-on unforgettable experience. There are plenty of ways you can create an extraordinary encounter for your guests, with something as simple as lighting and music or as complex as creative elements involving technology and innovation. Whatever you choose, keep the expectations of your diners in mind and let your business’ personality speak for itself.